Iowa Gov. 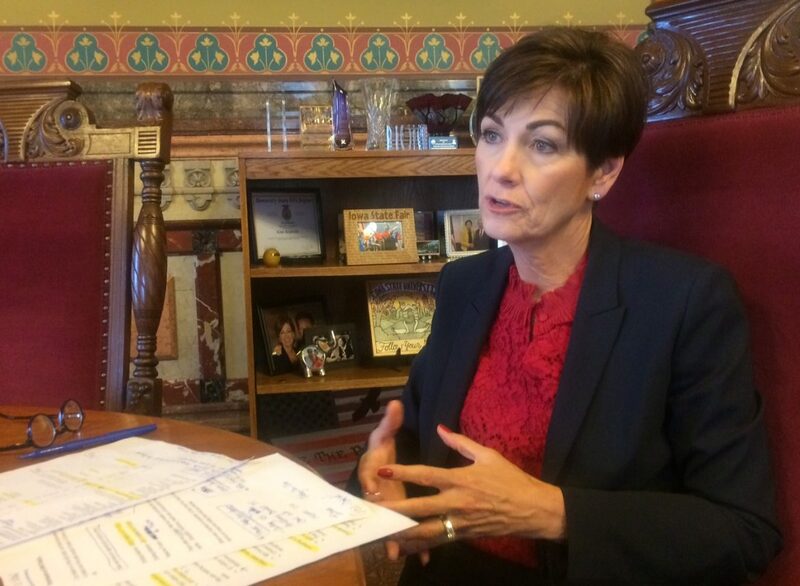 Kim Reynolds said in the latest IowaWatch Connection radio report and podcast that Iowa needs to streamline the process for getting flood relief to portions of the state pounded with spring flooding. The process will include coming up with funds in Iowa to provide flood relief, matching at some level federal aid that eventually comes into the state, Reynolds said in the weekend radio report. The need to fund flood relief in Iowa, notably along the Missouri River valley in west-southwest Iowa, will add a wrinkle to the state legislative session that entered its fourth month in April and still must wrap up how much in total state funding it will appropriate. Reynolds, Missouri Gov. Mike Parson and Nebraska Gov. Pete Ricketts have met with U.S. Army Corps of Engineers representatives. “Our message was to make sure that we do this from a regional perspective, that we really streamline the process, that we look at ways we can do things differently. We can’t keep doing the same thing and expect different results,” Reynolds said. IowaWatch’s Lyle Muller contributed to writing this post. The Republican-led Iowa Senate came up with $31.9 million in spending cuts for this fiscal year, which ends June 30, bringing that legislative house closer to cuts the House and governor’s office find to be acceptable. This IowaWatch Connection podcast brings you up to date on how this Iowa General Assembly is handling spending.